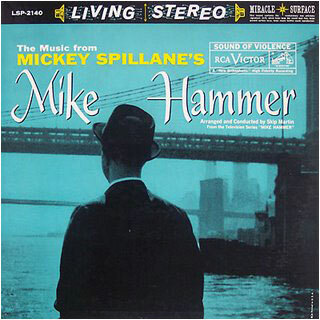 LISTENING NOTES: Sound of Violence: The Music from "Mike Hammer"
Sound of Violence: The Music from "Mike Hammer"
Very rare title in the Living Stereo series. The music is known now as crime jazz. The genre was hot in the late "50's and early "60s. A few of the other artists that have been associated with it are Henry Mancini (for his brilliant "Peter Gunn" and "More Music from Peter Gunn" , Johnny Mandel for his jazz score to film "I Want To Live! 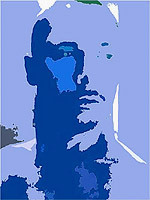 ", Buddy Morrow his the collection entitled "Impact!" , Enoch Light for "Paperback Ballet", and Duke Ellington for "Anatomy of a Murder". Mike Hammer was a popular television show in the early 60's - the brassy, seductive theme will be familiar to anyone from that era. The recorded sound has plenty of impact, and although the musicians are not credited on the jacket, it's obviously a group hand picked from the cream of West Coast talent. The titles alone will give you a sense of the style of this album - "Riff Blues", "Coffee House", "Bad Guys", "Black Night", "Night Crowd", "Like Mike", "Morning After" and "Hammer Blow." This is an essential album for crime-jazz buffs and collectors of Living Stereo. Unfortunately they are not easy to come by. I've seen copies described as VG+ priced from $30.00-$50.00, and NM for up to $100.00. I found mine, a near-mint pressing from Rockaway (stampers A1 2S/A1 2S) for a dollar about six months ago.